San Francisco Giants Minor League Spring Training. 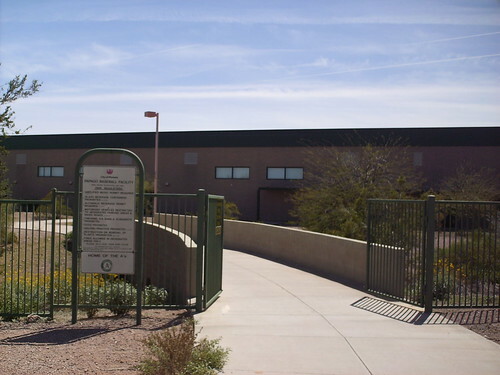 Papago Park served as the training grounds for the Athletics for 25 years. 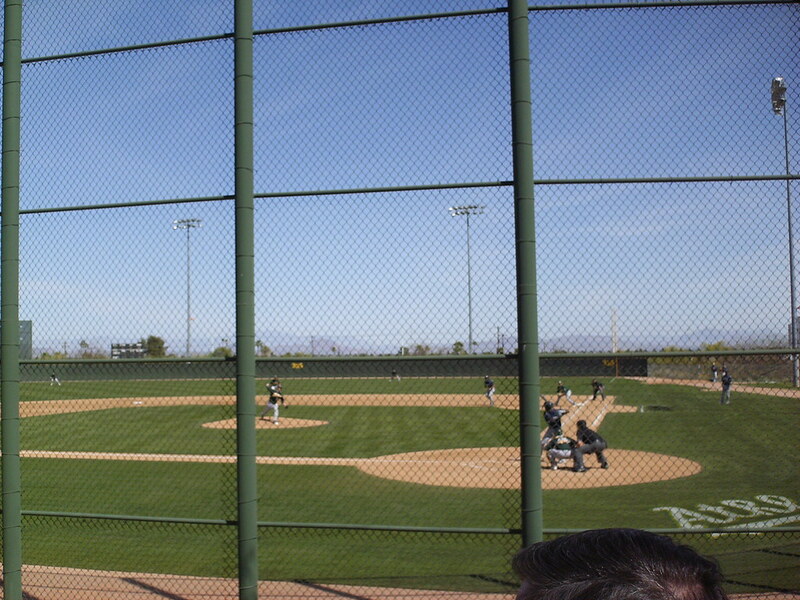 During that time, fields at the facility were named for A's legends. 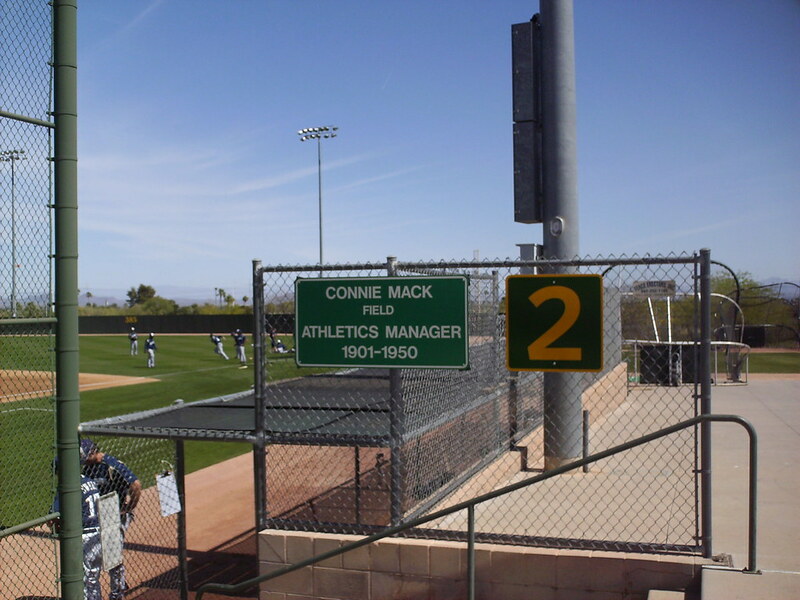 Field 2, where Arizona League games were played was named for Connie Mack. 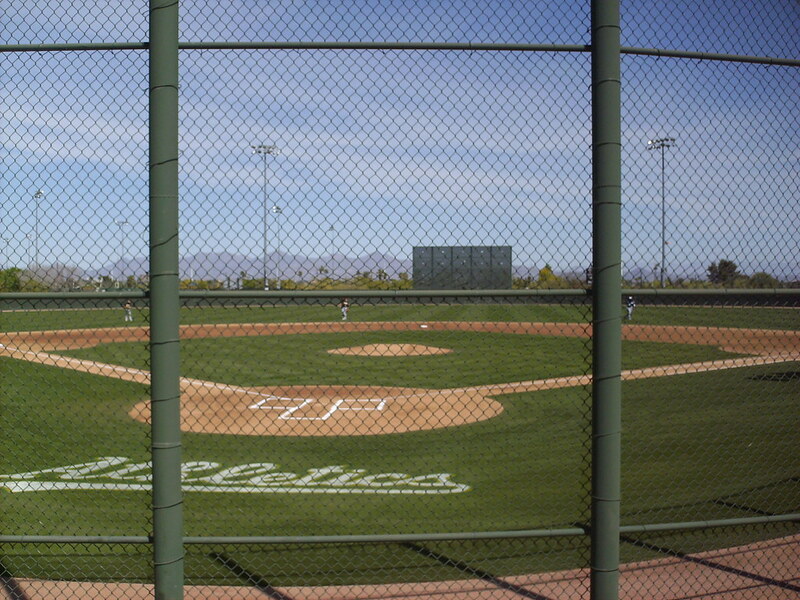 The view from behind home plate at Connie Mack Field. The view from down the first base line at Connie Mack Field. 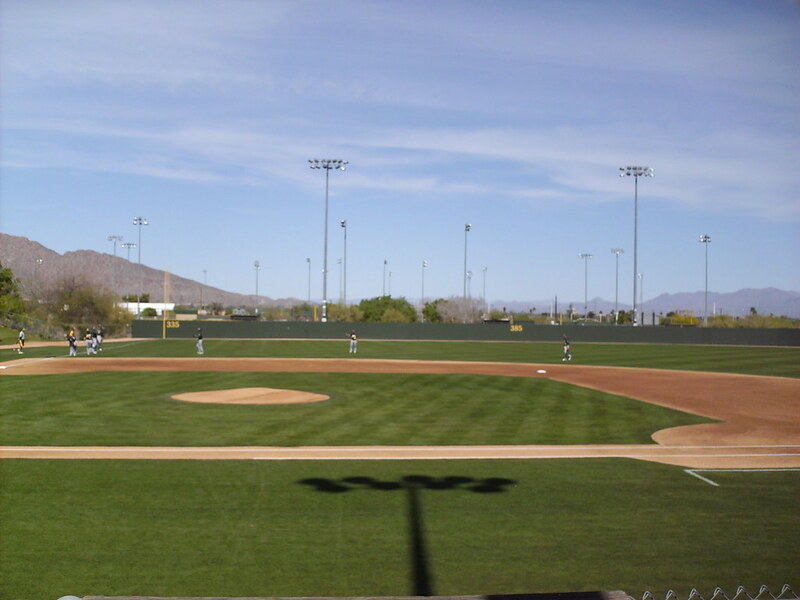 The view from down the third base line at Connie Mack Field. 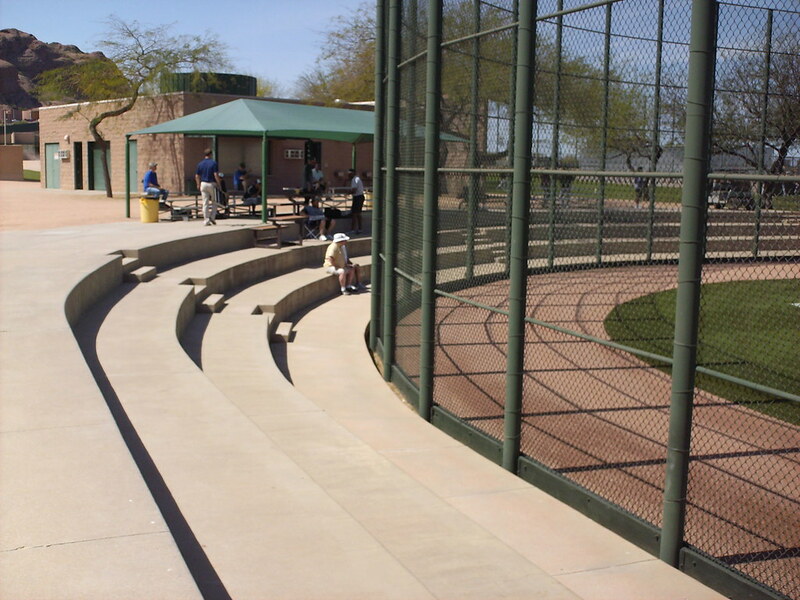 Neither AZL games or Minor League Spring Training games have large attendance, so the seating area just consists of concrete risers with a few aluminum bleacher sections and a tent to provide shade for team personnel. 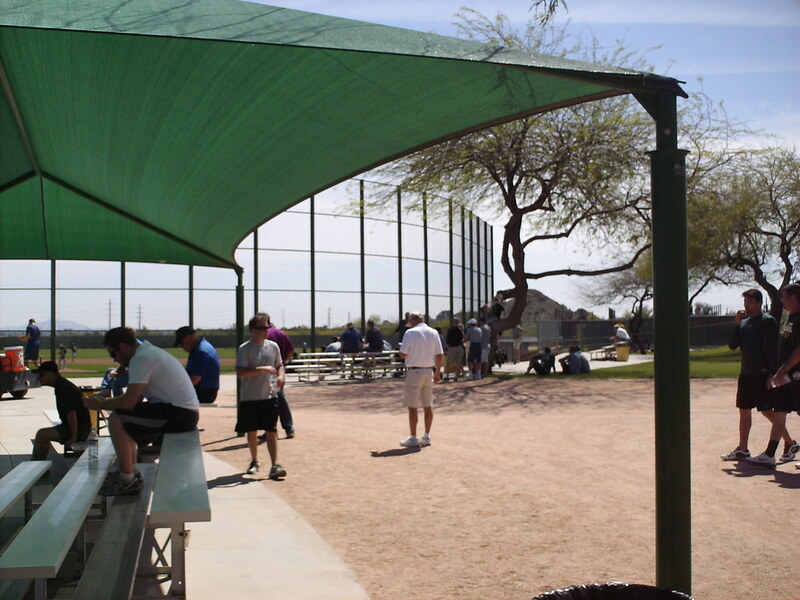 The fields at the complex are close together, and during Spring Training fans can take in two games at once. Occasionally a foul ball from one game lands in the other field, causing a delay in play. 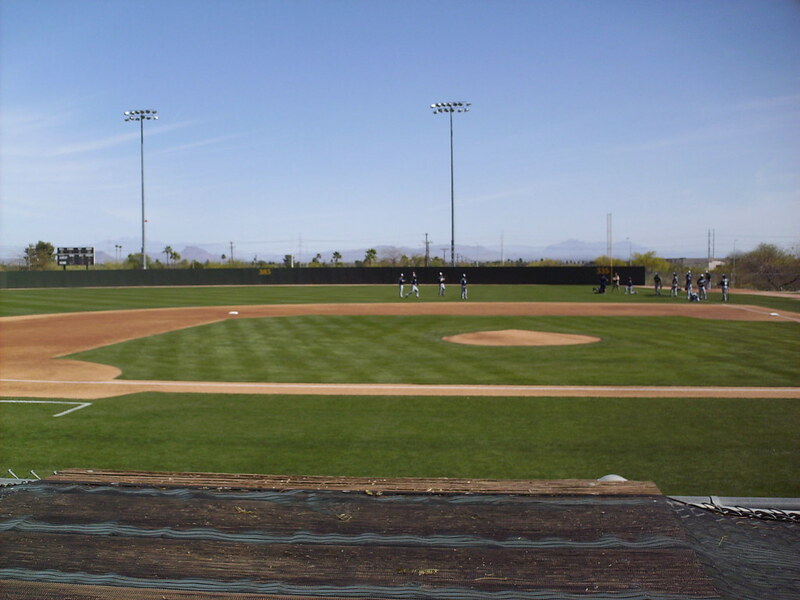 Connie Mack Field is the only field at the Papago Complex with a scoreboard. Fences in all fields are free of advertising. 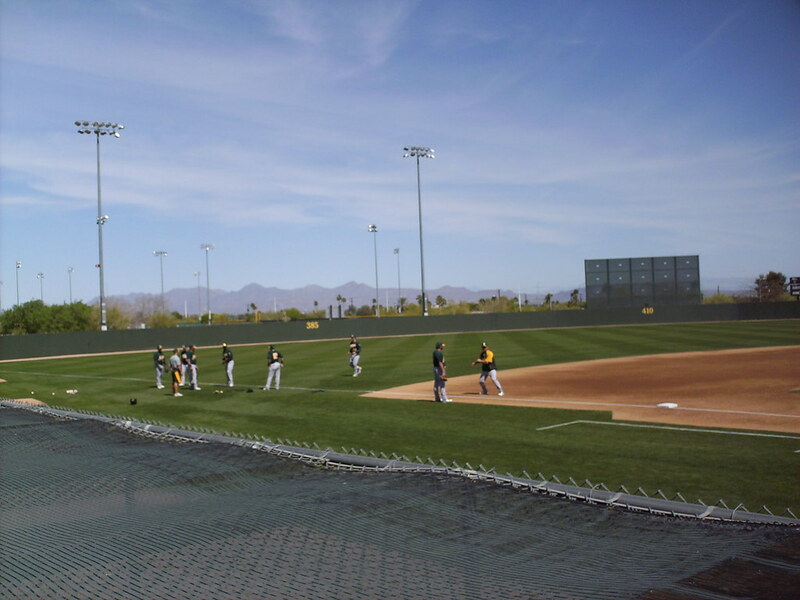 Mountain ranges provide a picturesque backdrop for practices and games at the complex. 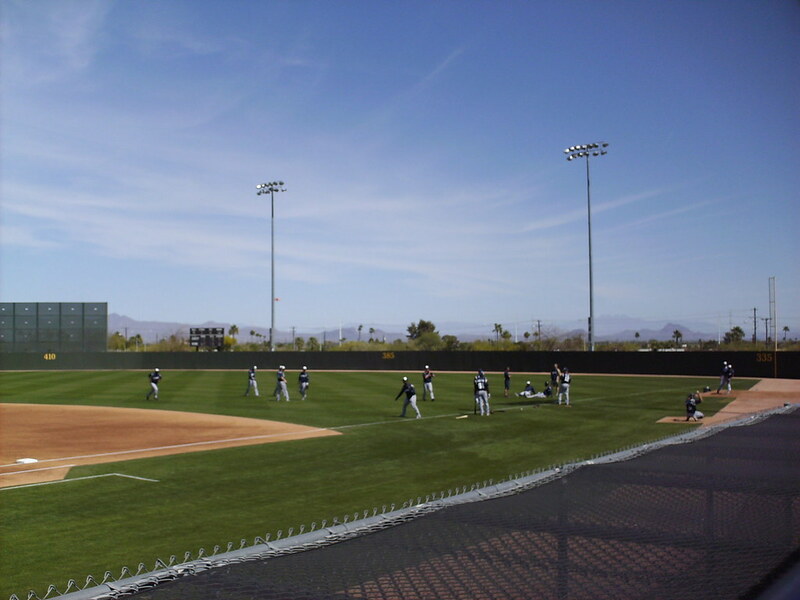 The Sacramento River Cats on the field during a AAA Minor League Spring Training game at Connie Mack Field at the Papago Park Sports Complex.